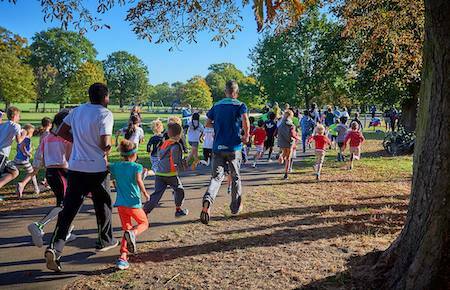 What is Jubilee junior parkrun? The event takes place at Jubilee Park, Kings Ripton Road, Huntingdon, Cambridgeshire PE28 2NR. See Course page for more details. Every week we grab a post parkrun coffee in the Huntingdon Town Football Club Club House. By supporting the Football Club’s café, you’ll be supporting our event in turn - please come and join us!